The original is to found in the Library of Congress in Washington. 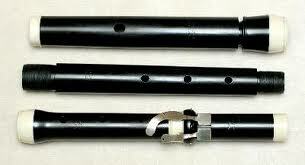 This is the most powerful of all the Baroque flutes. It is well adapted to playing concertos but can be criticised by some for lacking in roundness of tone. However, its slightly metallic tone-colour can be found to be extremely attractive. Possible pitches : 415, 400 or 392 Hz..